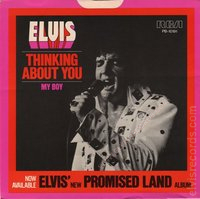 Cover: (1/1975) picture sleeve front and back. 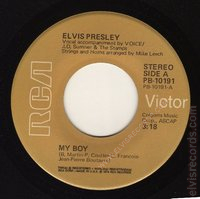 Disc: (1/1975) Orange label. 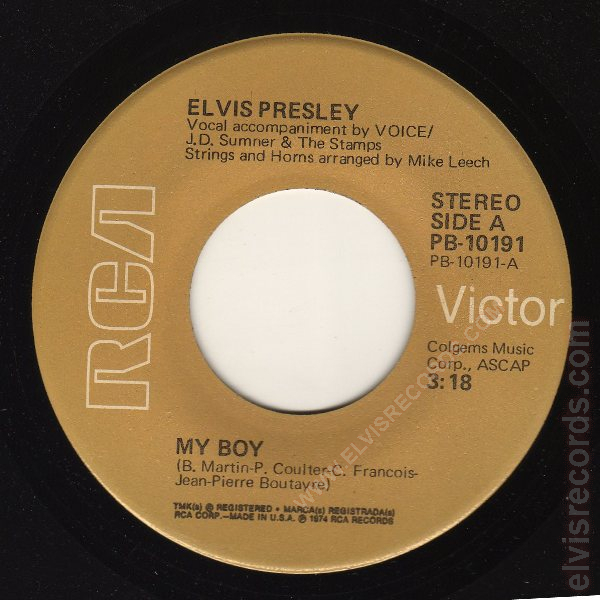 Mike Leech on separate line both sides. 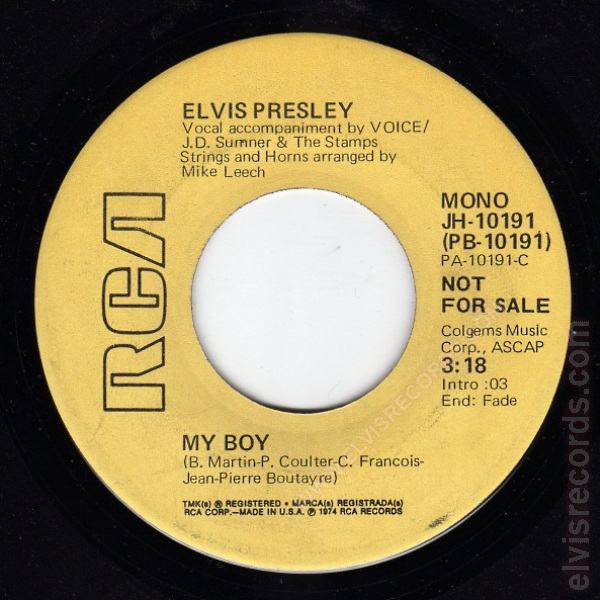 On the My Boy side, slash marks between song credits. 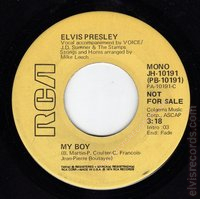 Disc: (1/1975) Tan label. Mike Leech on same line as Strings arranged by on both sides. On the My Boy side, no slash marks between song credits. 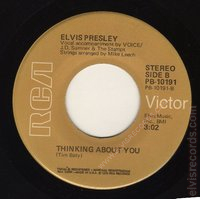 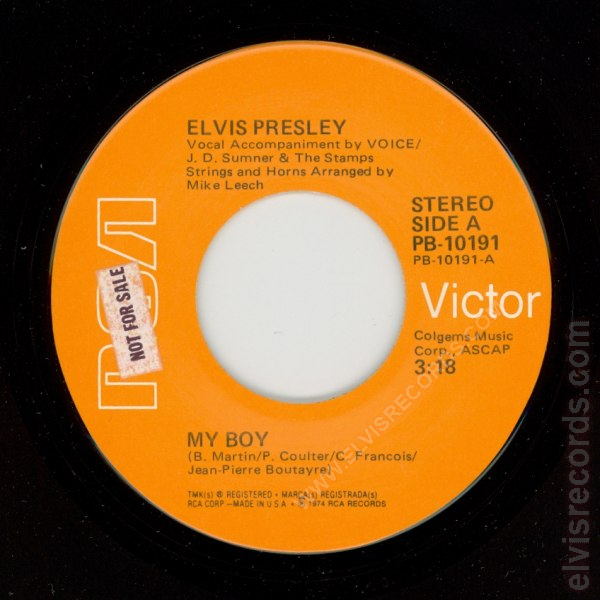 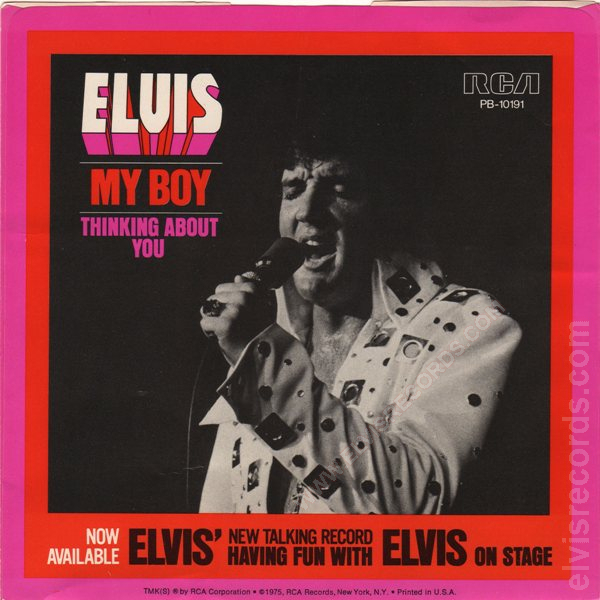 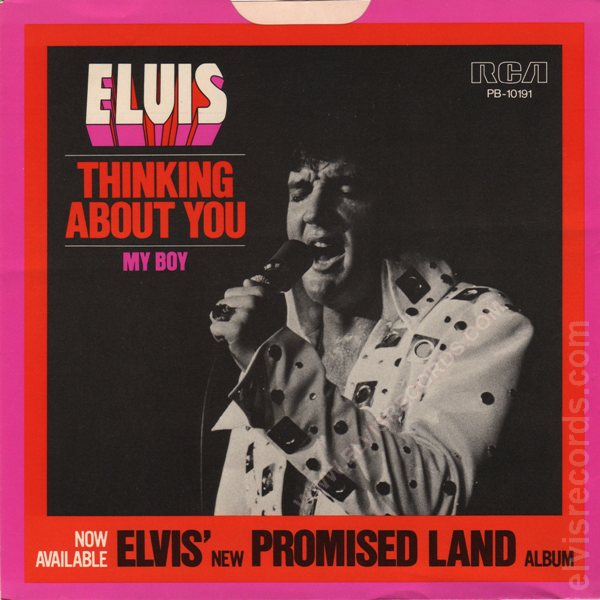 Re-released by RCA Records on 45 RPM as My Boy / Thinking About You on the Gold Standard Series label.